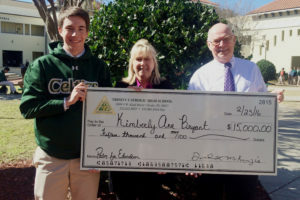 Every year Trinity Catholic holds special events to earn money towards the tuition assistance program of the school and help cover the cost of extra resources that our faculty need to give our students the best education. These special events include Palm for Education car drawing, Winter Carnival and “A night in” gala. Your support of these special events make it possible for us to assist over 60% of our student body, ensuring they receive a Trinity Catholic education. So we invite you to participate in these fundraisers and make a difference in the life of a student. Give the gift of a Catholic education today to a deserving student.